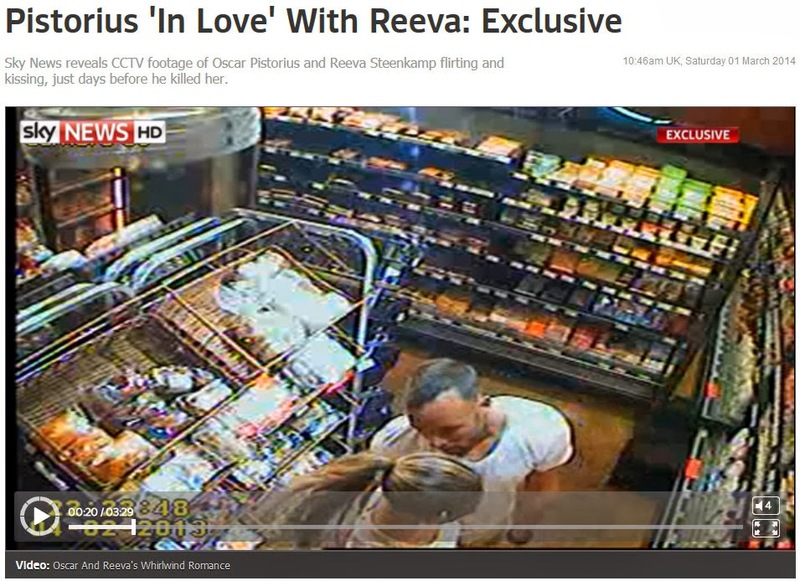 HI-REZ Life: Oscar and Reeva - A Loving Couple? I did a short analysis for DestinyMan (link below). I really wanted to highlight this series of images from the SKYNEWS video. The images at left are shown in series (note the :46, :48 and :50 in yellow which refers to the time in seconds...) It was the original video which SKY took as evidence of a couple comfortable with each other and in love that prompted me to look closely at the kiss itself. I examined this series of images in particular, and invite those interested to make up their own minds by watching the clip here. There is a ‘cascade of vectors’ which can lie behind a relationship — specific circumstances can spark something in the psyche, causing an outburst, sometimes with bloody and devastating consequences. What were those vectors in Oscar’s case? Read my in-depth analysis here. 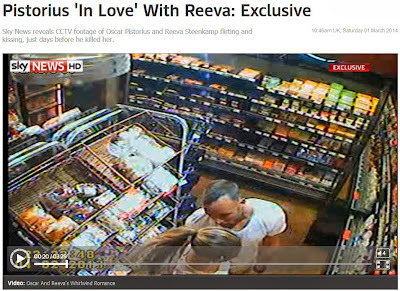 Read: Oscar told to 'back off from Reeva Steenkamp' here.